A Game of Legacy is a Coney project made for and by Jedi master of play Bernie DeKoven, as he neared the end of his life. Exploring what it means to pass on to posterity, with playfulness, reflection and making something rather joyful along the way, it’s a project very close to the heart of Coney. Over a hundred backers helped make the physical game happen through a Kickstarter campaign, and the game has now gone out to these people. The response was overwhelming, and we’re so grateful to everyone who supported the project. It’s a parcel posted to the host. You invite other players to join you around a table. Your phone will ring, and we’ll ask you to turn on a screen. And then to open together, in turn, a series of surprise parcels. Inside which will be… a game of legacy, which you will make and play (and laugh) together. While Bernie and I sit with you, in a moment together on a bench in a park in Indianapolis, connected to you all in play. 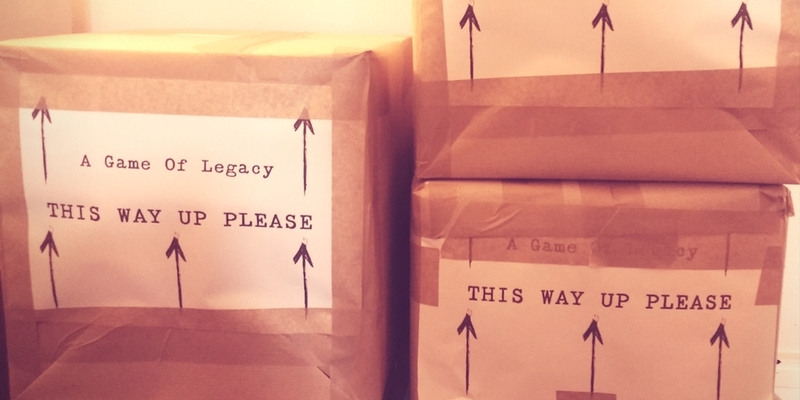 To share Bernie’s legacy with more people, we are releasing another limited run of A Game Of Legacy, available both to individuals and to host organisations. We are accepting pre-orders for the game, as the run will be assembled in small batches. We will keep you updated on when you can expect to receive your copy. A copy from this run of the game costs £30+VAT and postage. When you place an order we will ask you to pay a deposit of the full cost, to reserve your game. To order a copy as an individual, click here. If you are an organisation and would like to find out more about hosting the game, including an online Q&A about the making of the game, then email game@alegacyofplay.net. You can also explore a document of Bernie and Tassos’s exchange and its impact in a piece called Pass It On. To sign up for the first volume, email passiton@alegacyofplay.net.